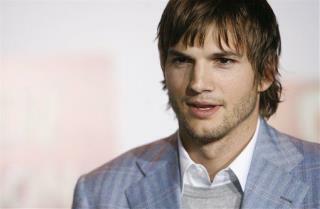 Ashton Kutcher, $24 million: Charlie who? Hugh Laurie, $18 million: Things will be different next year, with House off the air. Ray Romano, $18 million: Even though Men of a Certain Age didn't do so well for TNT. Alec Baldwin, $15 million: 30 Rock is in its final season. Mark Harmon, $15 million: NCIS is still a ratings gem. Can someone explain what about Ashton Kutcher makes him worthy of being a well paid actor, or an actor at all? He just played a stereotypical stoner for 7 years and was early to jump on the twitter bandwagon. Stupid conservative-run media and their wasting money on so-called "actors" like Ashley Kutcher, who couldn't act his way out of a paper bag. Perfect! Another opportunity for all you dyed in the wool Liberals to stand behind your (voiced) Liberal standards. Let's hear the moral outrage about how much these people make, same as you spewed at CEO's and other high paid workers. Lay down the condemnation about the greedy, capitalist pigs who should be banished from society. Finally, pompously pull an arbitrary number out of your collective asses and say that actors and actresses should make no more than that. Come on, let's hear it.